The Daily Fantasy sports app DraftKings says it was the victim of a cyberattack last month which prevented its customers from gaining access to their website for a short period of time. The denial of service attack is reported to have lasted for over 20 minutes while enduring three times the normal number of requests for information it usually receives. A federal judge in Massachusetts issued an order allowing the DraftKings to seek the identities of those who launched a denial of service attack on August 8. The IP addresses of those involved in the attack were traced back to several different service providers and the judge’s court order will allow DraftKings the ability to subpoena those names. No confidential or company information was lost or stolen during the attack which came only a few days after the launch of a new DraftKings sports betting operation in New Jersey and only a few weeks before the new NFL season. The Mississippi Band of Choctaw Indians is believed to be the very first Native American tribe to offer legal sports betting outside of Nevada. “We’re very excited to be on eof the very first tribal gaming facilities to offer traditional sports wagering. Our guests can now bet on all professional league sports and major collegiate sporting events on our property.” Tribal Chief Phyliss J. Anderson announced in a press release. The Sportsbook at Timeout Lounge is open for business inside the Golden Moon Hotel and Casino in Philadelphia, Mississippi. Neal Atkinson, the director of table games, poker, sportsbook, and bingo operations for Golden Moon anticipates using in-person wagering at first and then moving to a mobile on-site option in the near future. The Sportsbook at Timeout Lounge features 20 TV’s, three wagering stations, a full bar and 12 state-of-the-art big odds boards covering all the games and wagers. It’s only a short drive from neighboring Alabama so the expectations for a large influx of college football money is high. The start of the college football season and the rush to open the sportsbooks doors were surely coincidental. 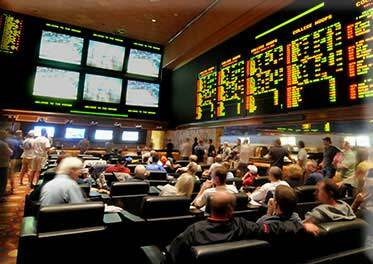 Last week it was reported, via piecing together anecdotal evidence from various sportsbooks and their employees, a rather large wagerer was making the rounds in Vegas, dropping large sums on a few college football games. The total amounts spent was speculated to be anywhere from $100,000 to well over $200,000. When the Supreme Court struck down the 25-year-old federal ban on sports betting, statehouses all over the nation began to drool over the thought of just how much tax revenue they could generate. Some black market illegal sports gambling totals were completely absurd. $150 billion dollars annually was the recommendation coming from the American Gaming Association. A Slate article guestimated a figure an even higher number of $380 billion. Wherever they got these numbers we may never know but a macro-economist, Jay Zagorsky, from Ohio State University isn’t buying it. “I am used to dealing with big numbers. Still, $150 billion struck me as much too high. To put it in perspective, that’s 14 times more than Americans spend going to the movies.” Yeah, that’s a bit of a head-scratcher. While we are a few years away from completely legal sports betting, Zagorsky ran some numbers of his own. He basically compared the gambling habits of Americans and the British, where sports gambling has been newly legalized as well. Taking the statistics and data from the English books and appalling that number to an American-sized population cut with an American-sized habit, he found the dollar amount to probably be closer to $68 billion. Still a good number but not as much as expected. However and more importantly, his point is a warning to those statehouses thirsty for revenue. Be careful what you wish for, as you may not know what you are getting into if you don’t even know what you’re getting out of it.